Tax department has unearthed Rs 32,000 crore through searches in last three fiscals and found that use of black money is rampant in sectors like real estate and educational institutions, government said on Friday. 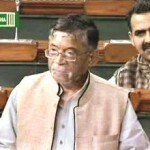 “The data indicates that the main sectors in which black money is rampant include real estate, finance, trading, manufacturing, educational institutes and services,” Minister of State for Finance Santosh Kumar Gangwar said in a written reply in the Lok Sabha. During 2015-16, the I-T Department conducted 445 searches which discovered undisclosed income of Rs 11,066 crore….